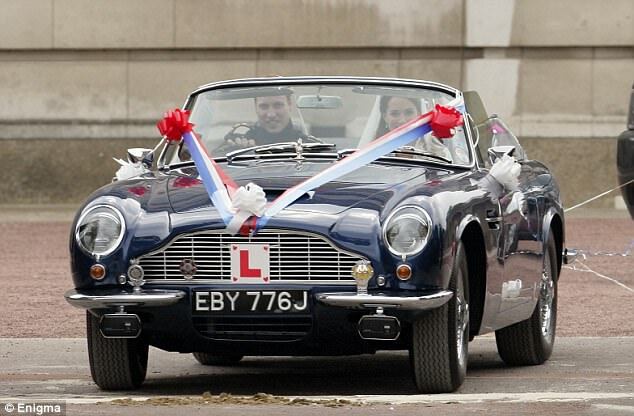 After a kiss that thrilled the nation, Prince William drove full throttle into the nation’s affections as he took his new wife on an unexpected drive to Clarence House. 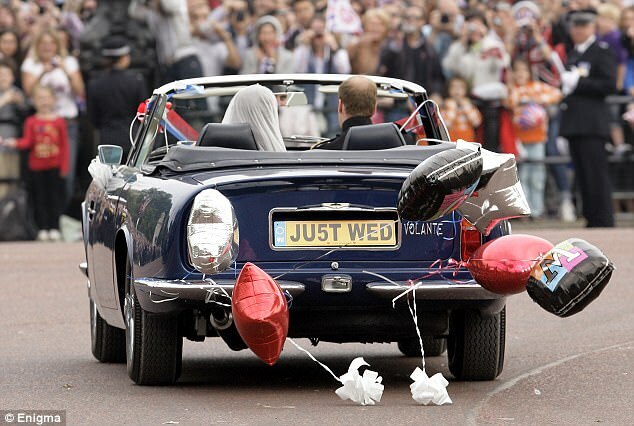 They left their Buckingham Palace reception in Prince Charles’s open-top Aston Martin with ‘Just wed’ on the number plate. It was the fitting climax to what had already been a remarkable day – and it was the common touch his mother Diana would have been proud of. AN operation targeting drivers with “misrepresented” number plates has been launched by police. Operation Dragon, which is running throughout March, involves officers from Hertfordshire, Bedfordshire and Cambridgeshire using Automatic Number Plate Recognition (ANPR) cameras to clamp down on illegal number plates. Anyone caught displaying a number plate which does not meet the DVLA’s criteria will be pulled over and could face a fine of up to £1,000. Number plates must be in the correct font, not use offensive words and be readable to the naked eye. They should also be made from a reflective material with black characters on a white background at the front, and black characters on a yellow background at the rear. Police will also be looking out for adjusted fixings or bolts which alter spaces or obscure characters to appear as something else. 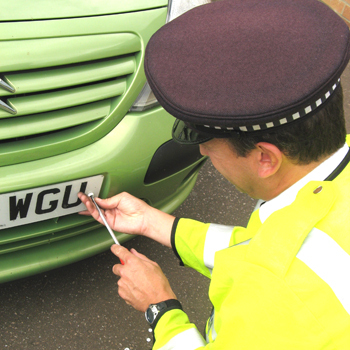 Hertfordshire ANPR manager, Inspector Andy Piper, said: “Plates that are difficult to read pose a threat to identifying vehicles that may have used for criminal purposes. Number Plates Security – Theft Proof ! Number plate theft continues to be a problem and many plates are used for serious criminal activity. The number plates security device must be there to stop anyone taking it off your vehicle quickly and reusing it on another vehicle. Vehicles with stolen number plates have also been used in more serious crimes such as kidnapping and robbery. Contact your local car dealer or registered number plate supplier for further information including fitting and cost. If your number plates are stolen, DVLA advises you to report the theft to the police. If you receive fines or correspondence after the theft, you should return them immediately to the issuing authority with an explanation and any documentary evidence. Note: It is an offence to display the wrong vehicle registration mark on a vehicle with a maximum penalty of £1,000. A NUMBER of people made the most of a crime prevention day outside Repco on Wednesday. Local Police were on hand to answer questions about vehicle safety and hand out anti-theft screws donated by Repco. Sergeant Dave Law, who was one of the officers taking part in the program, said Police were able to re-attach 50 number plates using up all 50 packs of anti-theft number plate screws donated. The screws require specialized tools to remove making it more difficult for thieves to steal number plates attached using the screws. 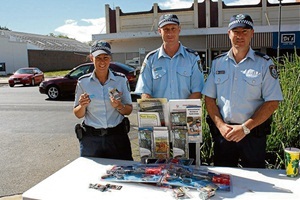 Sergeant Cockram said number plate theft is not a huge issue in Cootamundra, however is a growing concern for Police in Young and more recently Tumut. The same numberplate program was run in both of these towns in addition to Cootamundra. Over the past 12 months, three number plates have been stolen in Cootamundra and one on Jugiong, illegal compared to 10 number plates thefts in Young and eight in Tumut. Sergeant Cockram said the stolen number plates are generally used to disguise other crimes including everything from people not paying for petrol at the service station to people committing serious robberies. Sometimes people just want to souvenir the plates, particularly if they are unique in some way, according to Sergeant Cockram. He said people were particularly receptive to the program which is part of an ongoing series of crime prevention workshops. “Crime prevention is always better than trying to apprehend offenders,” Sergeant Cockram said. Initially the day was going to be run by registration Local Area Command crime prevention officer Peter Guthrie, however he was called to Wagga on Wednesday. 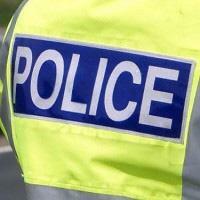 STOLEN numberplates were used by thieves to take £100 of petrol on Tuesday. The numberplates were stolen from a blue Ford Fusion in Church Street, North Luffenham, between 4.35pm and 5.15pm. They were then attached to a blue Peugeot estate car and used to steal petrol from Adams and Sons in Glaston Road, Morcott, at 5.15pm. The white male driver was wearing a black beanie hat and a camouflage jacket. Police are looking for witnesses to both crimes and are studying CCTV footage from the petrol station. They expect to be able to release still images of the man at a later date. Is your car’s number plate illegal ? POLICE are cracking down on drivers with illegal number plates. ‘Operation Dragon’ will see forces in Bedfordshire using their automatic number plate tecognition (ANPR) teams to tackle drivers with dodgy licence plates. 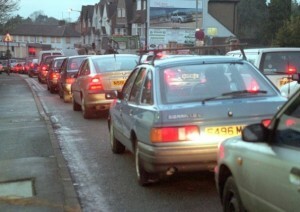 Expect to be stopped if your number plate has: adjusted fixings or bolts which alter spaces or obscure characters to appear as something else, any font that is not the standard DVLA-approved ‘Charles Wright’ font, offensive wording, letters that are not easily readable or recognised by the naked eye. Anyone caught with a number plate which does not the criteria could face a fine of up to £1,000. Number plates should also be made from a reflective material, white at the front and yellow at the back. Visit www.direct.gov.uk/en/motoring for more information. It’s time two-wheeler riders checked their registration number plates. The elaborate designs, stickers, fancy lights and glitz are a strict no-no. For the Commissionerate Police are all set to launch a campaign asking two-wheeler owners to adhere to the motor vehicle norms on registration plates. The campaign will be followed by enforcement. Although the Motor Vehicle Act provides a uniform specification on the registration plates along with the font and size of the numbers, a large chunk has ignored it. In its bid to sensitise the bike and scooterette riders of the City, police are set to mount a campaign under which a whopping two lakh leaflets, carrying the existing norms, will be distributed by the Traffic Wing of the Commissionerate Police. The cops, who have roped in sportspersons and film stars, will also send across the message through a mass contact programme. The celebrities will ask the vehicle riders to stick to the motor vehicle regulations. The awareness drive makes sense in the illegal of a rising graph of snatchings and robberies carried out by bike-riders in the City, said a cop. The fancy registration plates sometimes pose a serious problem for the police as well as onlookers. The sensitisation campaign by the Commissionerate Traffic will continue for a month after which crackdown will be launched. The violations will attract a penalty in the range of Rs 500 to Rs 1,000 as it is a contravention of Regulation 22 of Bhubaneswar-Cuttack Commissionerate of Police Traffic and Public Order. Four-wheelers would be covered in the second phase. SPECIFICATIONS: The front plate size should be 285 mm x 45 mm for the rear plate size it is 200 mm x 100 mm. Rear number show plate should have State Code (OR) and Registering Authority Code (02 Bhubaneswar) on the top row with registration number in the second row. Front plate number should be in one row. Plate background has to be white with letters and numericals in black. ALMOST 1,000 people have been fined by police for driving in Northamptonshire with illegal or ineffectual number plates in the past six years, it has emerged. The figures, released following a Freedom of Information request by the Chronicle & Echo, showed more than 150 people a year were being fined by police for breaking regulations. 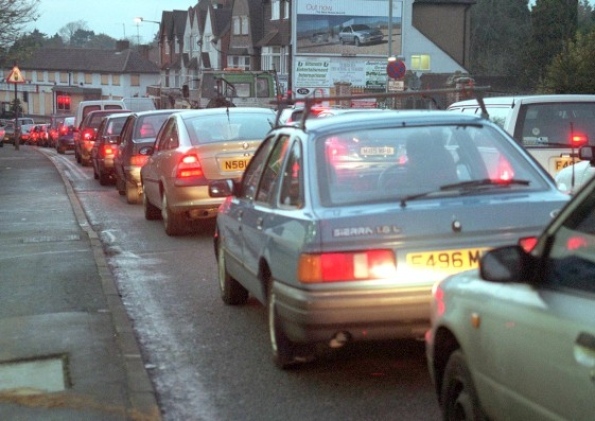 Between April 2005 and March 2011, a total of 989 people were given fines, with the highest number of people caught coming in 2005-06 when 250 people were handed fixed penalty notices. Fines have been issued to people driving with registration plates not conforming to regulations, driving without a licence plate or driving with plates that are obscured or indistinguishable. Inspector Nigel Rickaby, specialist operations inspector, said advances in automatic number plate recognition (ANPR) cameras have allowed police to crackdown on people with dodgy plates. He said: “Northamptonshire Police continue to enforce the relevant legislation for those drivers whose vehicles are not displaying the correct registration markings. Advances in technology such as ANPR cameras allow the police to identify people in vehicles who may be or have committed crimes so individuals who try to defeat this approach should expect to be targeted and prosecuted. It is illegal to rearrange licence plate numbers to make them look like names or words or to alter the plate in any manner that makes the vehicle registration number difficult to read or identify. A spokesman for the DVLA added: “If the cheap number plate is not displayed correctly, the police can issue fixed penalty fines and offenders could face a maximum fine of £1,000. “Also vehicles with illegally displayed registration numbers may fail the MoT test. “When DVLA is notified that a registration number is not being displayed correctly we will write to the vehicle keeper and request evidence that the registration number is now being displayed correctly. “If the vehicle keeper does not send evidence that the registration plate is being displayed correctly then we would consider withdrawing the registration number from the vehicle. Are Licence Number Plate Personal Info? New police scanner technology scans cheap number plates and GPS location, allowing officers to match to stolen vehicles, unlicensed or uninsured drivers. If there is a match the system stores the plate number and GPS location for two years. This technology has sparked the question as to whether or not your licence plate number is your personal information. Personally I believe that the number itself personal, but when matched with location and timestamp, it could be abused. Read the full article here: Is your licence plate number personal info? Jeremy Clarkson’s comment that striking public sector workers “should be shot” was not in breach of broadcasting rules, media watchdog Ofcom has said. Asked about striking workers during November’s public sector walk-out, Clarkson said he would “execute them in front of their families”. It resulted in 31,000 complaints to the BBC, and 736 to Ofcom. 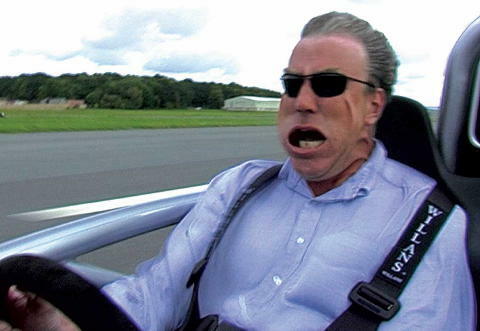 But the broadcasting standards body concluded that the Top Gear presenter’s comments “were not made seriously”. 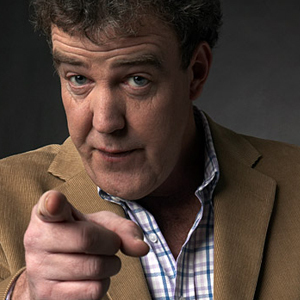 It added that Clarkson’s words “were not at all likely to encourage members of the public… to act on them in any way”. Ofcom acknowledged the comments were “potentially offensive” but were justified by the context. The exchange came as Clarkson was asked his opinion of the people engaged in a day-long industrial action over pensions. Ofcom’s ruling came in a letter to the assistant general secretary of Unison, Bronwyn McKenna, who had made a formal complaint following the broadcast. The watchdog noted that presenters Matt Baker and Alex Jones had alluded to Clarkson’s reputation for making controversial remarks when they introduced him. “It would have been clear to most viewers that his comments were not an expression of seriously held beliefs or views that would be literally interpreted,” it added. Ofcom also pointed out that Jones had made a “wide-ranging apology” regarding Clarkson’s comments at the end of the programme. The BBC also later apologised for any offence caused. Ofcom also made clear that Clarkson was warned ahead of transmission that “it was not appropriate to make any remarks he later went on to say”.